Timothy J. Nelson has served as President of Northwestern Michigan College since February 2001. During this time, President Nelson has guided NMC through a transition from the traditional time based, place based and knowledge transfer system, to a community college that is focused on competency based, content based knowledge application in pursuit of social, economic and talent development. This includes the implementation of a strategic plan, focusing on five strategic directions: ensuring learners are prepared for success in a global society and economy; establishing national and international competencies; delivering learning through a networked workforce; establishing lifelong relationships with learners; and transcribing learning to establish credentials of value. President Nelson strongly believes that NMC has a responsibility to prepare learners for success in a global economy. Therefore, President Nelson and his wife launched the NMC Global Opportunities Fund, which provides NMC faculty, students and staff chances to: engage in collaborative projects with international partners; exchange information, knowledge and technologies with countries around the world; enhance learning of world languages; and develop competencies to communicate across different cultures. In addition, the college has created global partnerships with educational institutions in Brazil, China, Costa Rica, Great Britain, India and others. In 2018, NMC graduated their first cohort of students from Yellow River Conservancy Technical institute in Kaifeng, China. As a result of these global initiatives, NMC is ranked 12th nationally among community colleges for providing global experiences for their learners. Seeking to establish national and international competencies that leverage regional assets, President Nelson has led NMC in the development of programs in advanced manufacturing, freshwater studies, maritime technology and unmanned aerial systems. Nelson also successfully advocated for changes in state law to allow NMC and other community colleges to offer baccalaureate degrees in select fields. For NMC, this legislative change allowed the college to become the first college in the state to offer a Bachelor of Science degree in maritime technology. President Nelson has also overseen the development of world renowned unmanned aerial vehicle and unmanned underwater vehicle programs. Under President Nelson’s leadership, the college has also been actively committed to helping veterans achieve success, leading NMC to be ranked second in the nation among community colleges for its services for veterans. He has overseen the creation of the Great Lakes Water Studies Institute, the Health Education Institute (in collaboration with Munson Healthcare), a Michigan Energy Demonstration Center and a curriculum in entrepreneurship. In addition, the NMC Foundation has been recognized as one of the Top 20 Community College Foundations in the nation and has an endowment of over $40 million to support learner success. During his tenure, President Nelson has advocated successfully with the state legislature for Capital Outlay approval for the West Hall Innovation Center and Library, which will bring flexible learning spaces for team-based and project learning. President Nelson believes strongly that NMC belongs to all community learners, and as a result, encourages faculty, staff and community involvement in the planning conversations for projects at the college. As an avid reader, President Nelson makes sure NMC’s priorities are aligned with the leaders of educational innovation. This has resulted in NMC being one of the early adopters with the Business Innovation Factory and at the forefront of business model design and transformation. He integrates the work he is involved in nationally with learning efforts housed on NMC’s campuses, including the AQIP project in Experiential Learning and the West Hall Innovation Center project. President Nelson is recognized as a visionary leader at the national, state and local levels, being invited to present on topics from the new economy to international higher education, and to contribute in areas of policy and governance relating to higher education and economic development. He is a member and past chair of the Michigan Community College Association, currently serves as chair of the organization’s Legislative Committee, is a member of the American Association of Community Colleges (AACC), the Executive Board of the Alliance for Innovation and Transformation, the Munson Medical Center Board of Trustees and vice chair of Munson Healthcare’s Finance Committee, the Traverse City Rotary Club, member and past board chair of the Traverse City Chamber of Commerce as well as the Traverse City Executive Group. Past memberships include AACC’s Presidents Academy Executive Committee, Champion of the Regional Grand Vision, NorthSky Nonprofit Network Advisory Board, Executive Committee and Economic Forecast Committee of the Traverse City Chamber of Commerce, and TCAPS Tomorrow group of the Traverse City Area Public Schools. He was also a member of the Prima Civitas Foundation Board, the Future/Innovation Research Strategy Team, and the Northern Michigan Knowledge Economy Strategies Project. President Nelson has served four gubernatorial appointments by two different Michigan governors: The Council for Labor and Economic Growth, serving as chair of the Entrepreneurship Committee; the State of Michigan’s P-20 Longitudinal Data System Advisory Council; community college representative on the MPSERS state retirement board; and the Building the 21st Century Economy Commission. Before becoming president, he served as NMC’s Executive Director of Administrative Services and prior to that, he was the college’s Residence Hall and Apartment Supervisor from 1975 to 1977. He has founded three private business firms and taught small business management, entrepreneurship and corporate finance at Michigan Technological University. He also taught at Western Michigan University and Olivet College in Olivet, Michigan. 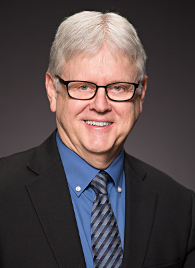 He held several leadership posts at Olivet where he served as the Department Chair of Business Administration and Economics, Vice President for Enrollment and Strategic Management, Interim Vice President for Institutional Research, and Vice President for Finance and Administration. President Nelson earned his Bachelor of Science in mathematics from Grand Valley State University and a Master of Science in Business Administration from Michigan Technological University, and completed studies at the Institute for Educational Management at Harvard University. He is married to Nancy Johnson, who serves as one of Northwestern Michigan College’s strongest and most effective advocates. "At NMC, we are a community of learners. Whether you're seeking a college degree, personal enrichment, corporate training, or cultural activities, you can find it here. In today's world, learning is forever and for everyone."